Brian and Tyler celebrated the release of “Can’t Say I Ain’t Country” with a concert in NYC. The show was broadcasted on Youtube to give everyone else a chance to enjoy. 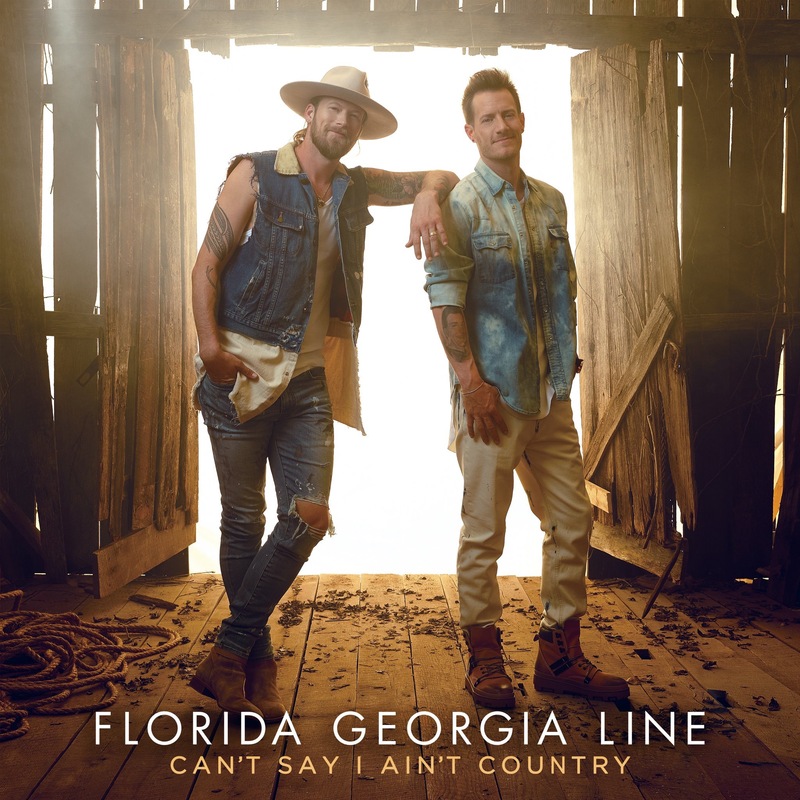 FGL performed a lot from Can’t Say I Ain’t Country including “Colorado,” “Simple,” “Meant To Be,” “People are Different,” “Swerve” and “Y’all Boys.” The guys also performed fan favorites like “H.O.L.Y.,” “How We Roll,” “Round Here,” “Up Down,” and closed the show with their 2012 smash hit single “Cruise” (and a few shots of whiskey, of course). Florida Georgia Line discuss their new album—and how they’ve made big business in Nashville. In the country music industry, perhaps no star is rising, or business expanding more rapidly than that of the Florida Georgia Line brand. Over the last seven years, Brian Kelley and Tyler Hubbard, both halves of the superstar duo, have succeeded in their teamwork to the point of commodifying it. FGL House, the band’s bar in downtown Nashville, is one of Music City’s most popular nightspots. FGL Fest was arguably the most anticipated fall 2018 event in Indianapolis (before it was cancelled due to bad weather). And the band name FGL has become synonymous with success in country radio. The duo achieved their 16th Number One song last October when “Simple” topped both the Billboard and Country Aircheck/ Mediabase Country airplay charts. The single was released alongside “Colorado” on June 1, followed by “Talk You Out of It” in July and “Sittin’ Pretty’” in August. Rounded up as a self-titled EP, these four tracks were offered as a collective sampling of the pair’s fourth LP, slated for 2019. It’s finally here! 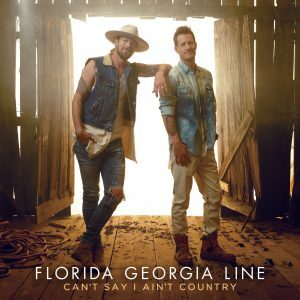 FGL have released the official album cover for “Can’t Say I Ain’t Country! Pre-order it online NOW and get the new album FEBRUARY 15! The album will feature 15 full length songs, along with 3 collaborations. Tyler Hubbard and Brian Kelley sit at the end of a giant conference room table, happily signing their lives away. The members of Florida Georgia Line are initialing a document provided by Music City Indoor Karting, a Nashville go-kart track, that promises they will not hold the place accountable should they undergo “bodily injury or death” while flinging themselves around 90-degree turns at up to 40 mph (!) in a glorified adult Hot Wheel. Honestly, they seem pretty psyched about it. “Didn’t Jake lose a finger doing this?” says Hubbard in his Georgia drawl, referring to beach-country artist Jake Owen as he reaches for the blue face sock that we’re required to layer underneath our helmets for sanitary protection. We’ll hit the track as soon as Bebe Rexha arrives, for what could well be my last 30 minutes on this earth before I lose control of my kart and explode into a ball of flames. Kelley assures me it’s going to be fine, handing me my own face sock. “It’s Kevlar,” he says with a smirk, hanging his halfway out of his back pocket like a wallet chain — which is, of course, an item he has worn before. Both members of FGL come from the “more is more” school of country accessorizing. Currently, they’re both sporting incarnations of denim I never knew existed. Forty-eight hours from now, Hubbard, Kelley and Rexha will attend the Country Music Association Awards, but today the trio is engaging in a little healthy preshow competition. At the CMAs, they’ll perform their collaboration, “Meant to Be,” a song that’s up for single of the year and, though it was released in October 2017, has been downright omnipresent ever since. Released first on Rexha’s EP All Your Fault: Pt. 2 and then on her album, Expectations, “Meant to Be” reigned at No. 1 on Billboard’s Hot Country Songs chart for 50 weeks (a record) and logged 810 million on-demand streams, according to Nielsen Music. And now it’s up for a best country duo/group performance Grammy, and Rexha’s nominated for best new artist. People.com has taken us on a behind the scenes journey of FGL’s first Las Vegas residency concert. Check out the photos for the set list, on stage performance and even dressing room antics. It looks like even a surprise guest made an appearance for the finale! Read about it here. FGL are nominated for 3 awards at the 2018 CMA Awards, going down tonight in Nashville. They are also performing “Meant to Be” with Bebe Rexha. And what can’t be missed, check out baby Olivia’s red carpet debut! The Florida Georgia Line boys were honored with Bebe Rexha at the BMI Songwriting Awards in Nashville for their outstanding hit, “Meant to Be”.